In recent years, the desire to purchase new homes has transformed into homeowners staying put and fixing-up and even upgrading their own properties. After the inside of the home has been updated, homeowners gleefully retreat outdoors, and aren’t often met with the same “newness” as the inside. 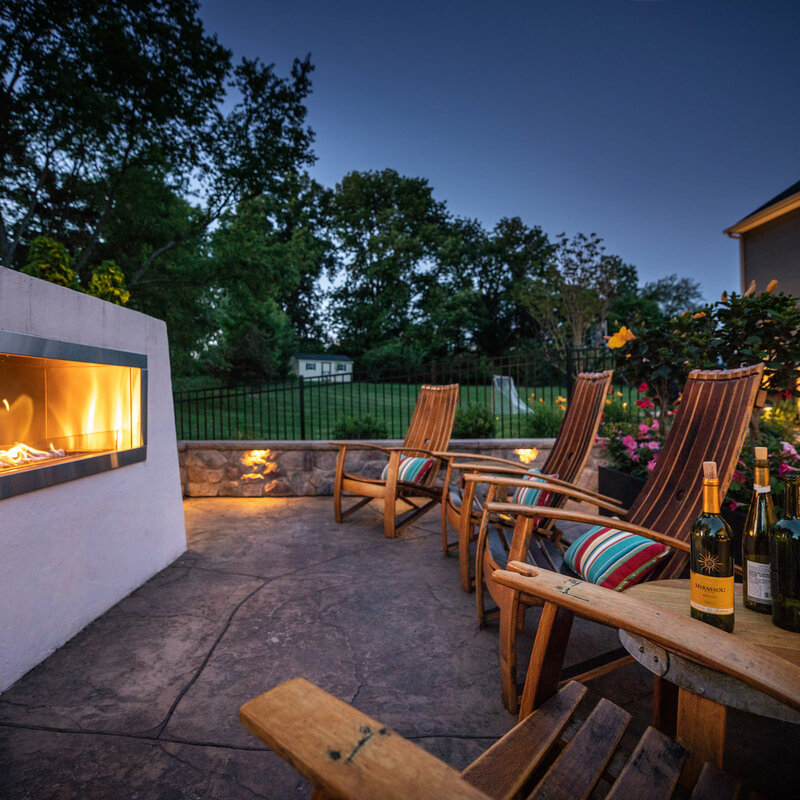 What is the most sought-after backyard item? You guessed it…a swimming pool! To have a backyard in-ground swimming pool is a luxury that people work hard to obtain, so they can enjoy themselves at home when they finally have the chance to relax with their family and friends. When deciding to take the dive into an at-home swimming pool, does it make sense to employ a landscape designer or take matters into your own hands and contract directly with a pool company? That really depends on if you would like to have a cohesive, well-thought out beautiful and functioning backyard, or a swimming pool surrounded by a little concrete and not much else. This is a big one. It is crucial that your swimming pool be located in the proper location in your backyard. You would be surprised how many people out there have elected to place their own pool, only to find out later that it is way too far from their home. Your landscape designer will take proper measurements and concentrate on problems within the yard like poor drainage, swales, sun exposure, underground utilities…etc. to ensure the correct location. For families and those who have little ones that will come around, it is important to place the pool in an area that is visible from inside the home as an added safety precaution! Believe it or not, bigger doesn’t always mean better. Making the decision on the size of your swimming pool will first be dictated by the size of your lot and existing features. Your local municipality has recorded rules and codes for your lot of land that will calculate how big of a water feature you can actually install before involving stormwater management. 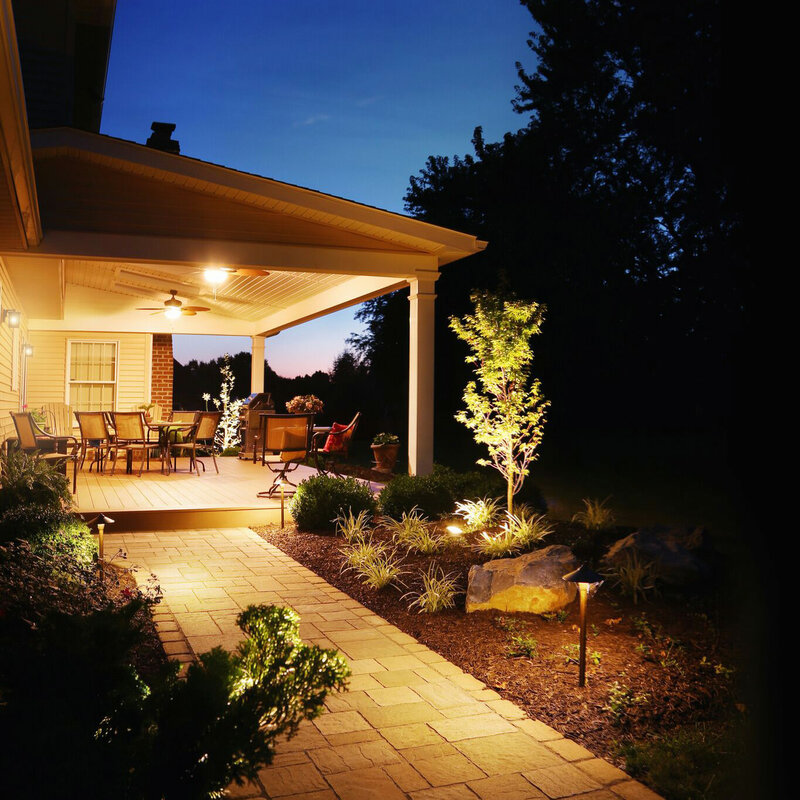 You must also consider all of the other impervious features that will be included like deck or patios, which can also be included in the impervious calculations. Next, your landscape designer will ask you how you intend to use the pool. A more modest-sized swimming pool is perfect for those who simply want a place to get wet and cool down from the summer heat, whereas a larger pool is best-suited for families that like to swim, dive, play and entertain larger groups. The best pool design is one that will work with you rather than against you. 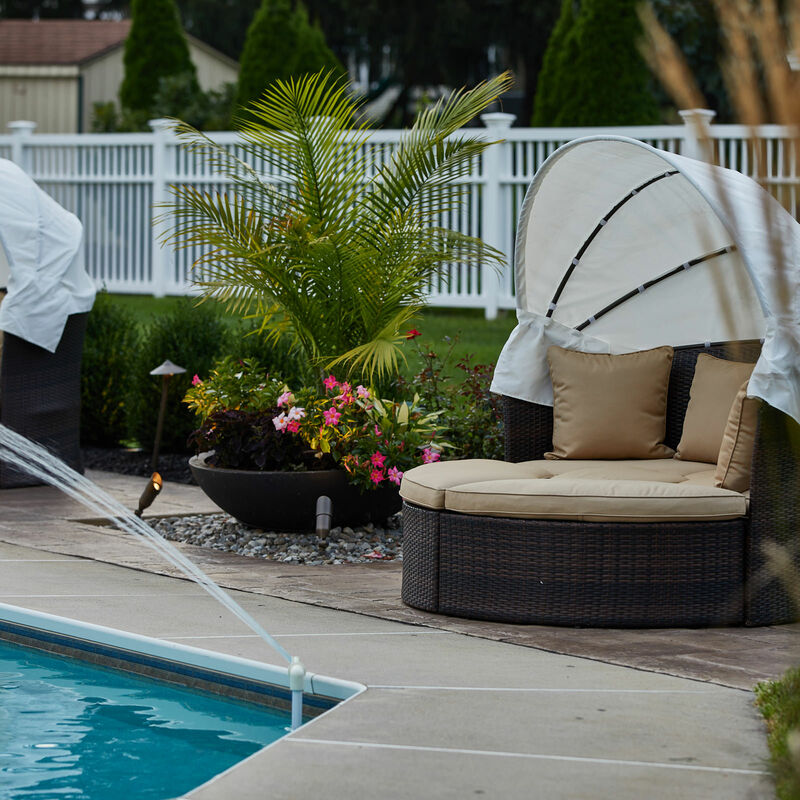 Functional features like automatic pool covers and smart controlled water and light elements are geared towards making the swimming pool experience better and easier for the homeowner. As for focal features, talk to you landscape designer about little personal touches you would like to include in your pool. 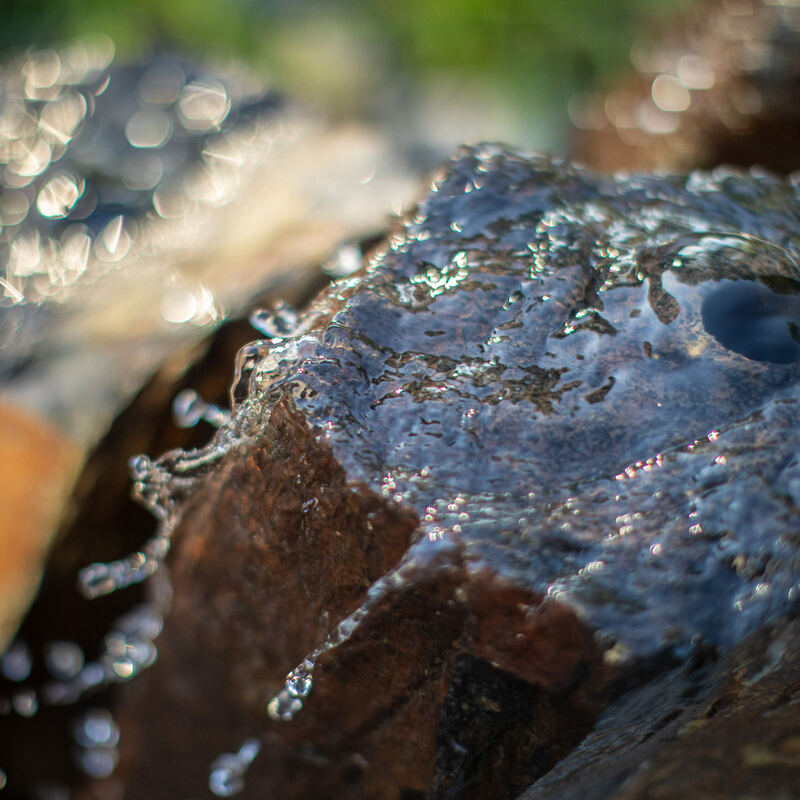 Including features like water jets that shoot up from the edge of the pool only to gracefully fall to the center in a sort-of mesmerizing and relaxing stream, water slides or even custom boulder waterfalls are all possibilities to truly make your backyard your optimal oasis. Tying the pool area to the back of the home in a cohesive manner is where the magic happens and it’s a sea of possibilities! For every person that loves basking in the sun all day, there is another person who likes the heat but not the direct sunlight. 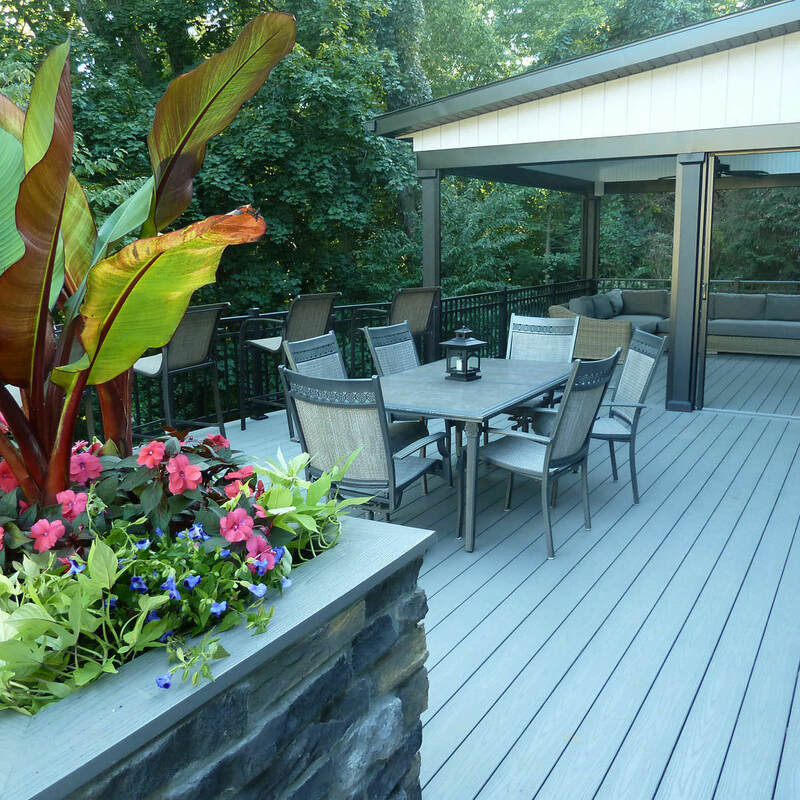 Pergolas, pavilions, pool houses, and roof extensions are pivotal to provide the best of both worlds. Selecting a structure that best fits your lifestyle will maximize the character of the space and provide a cooler place to dine and relax, without having to leave the party. Incorporating timeless materials like stone, metal, wood and others already existing on the property will bring everything together in one luxurious cohesive space. 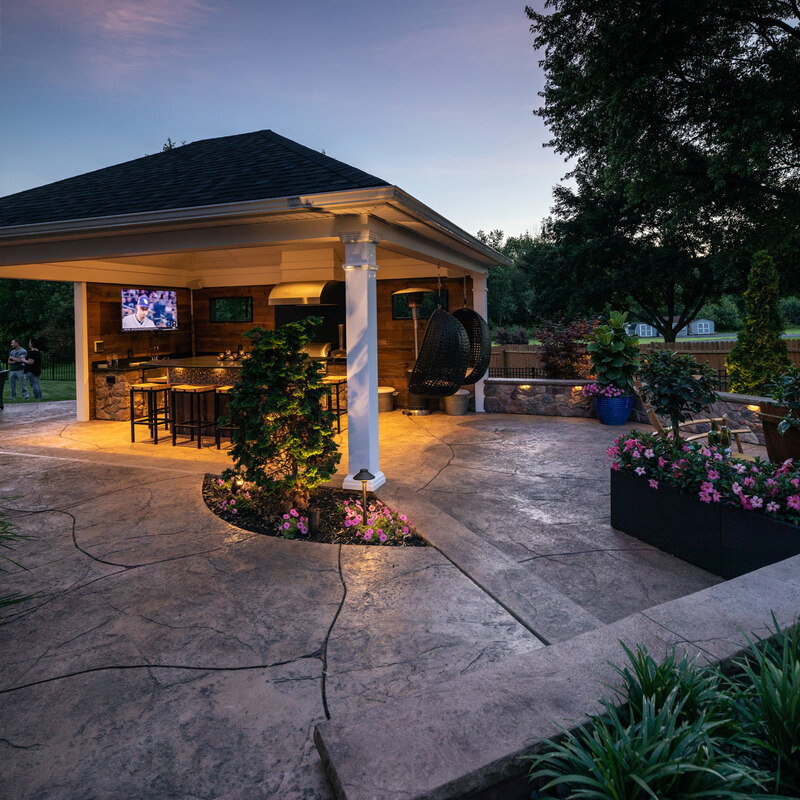 Outdoor kitchens, fire features, landscaping, landscape and accent lighting are all exemplary elements to further harmonize the space for personal, custom-fit gratification. 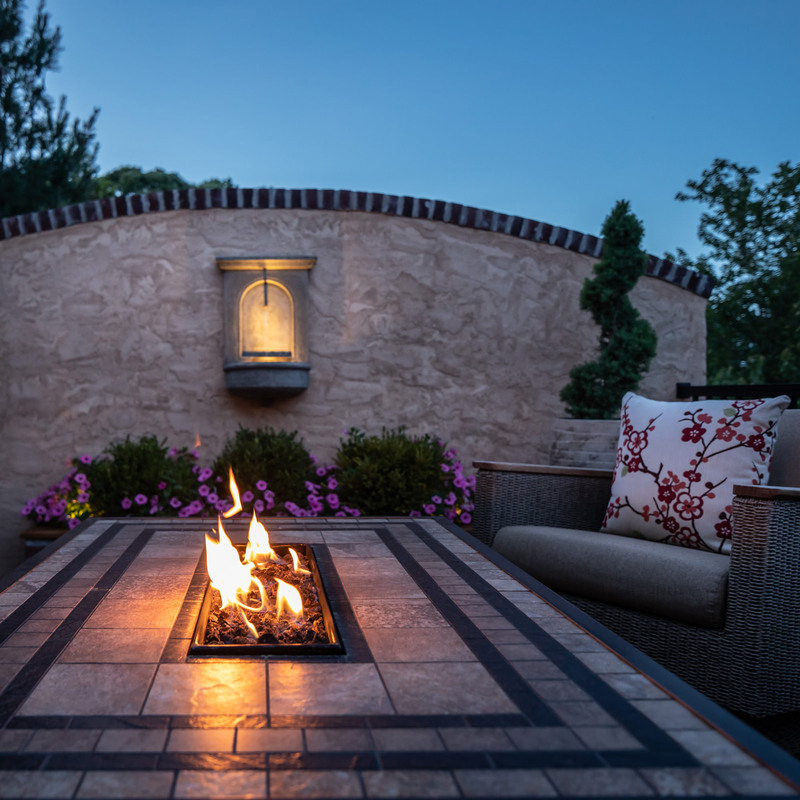 Giving every item its own and proper space and combining aesthetic with purpose will guarantee an outdoor oasis you won’t want to leave. 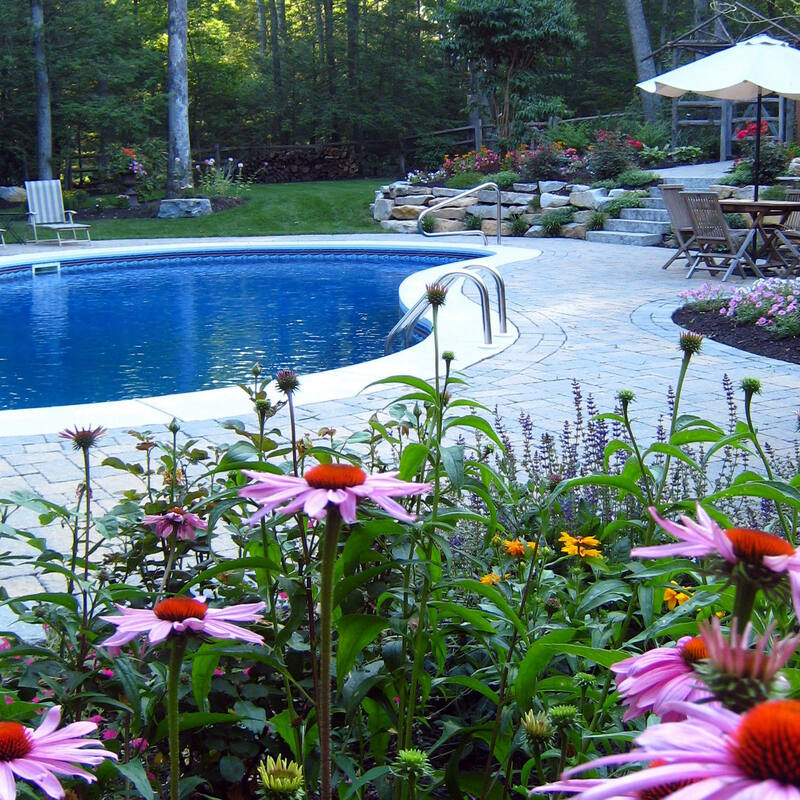 So, when you feel like it’s time to visit the idea of adding a pool to your backyard, reach out to your landscape designer for expertise and their keen designer’s eye. 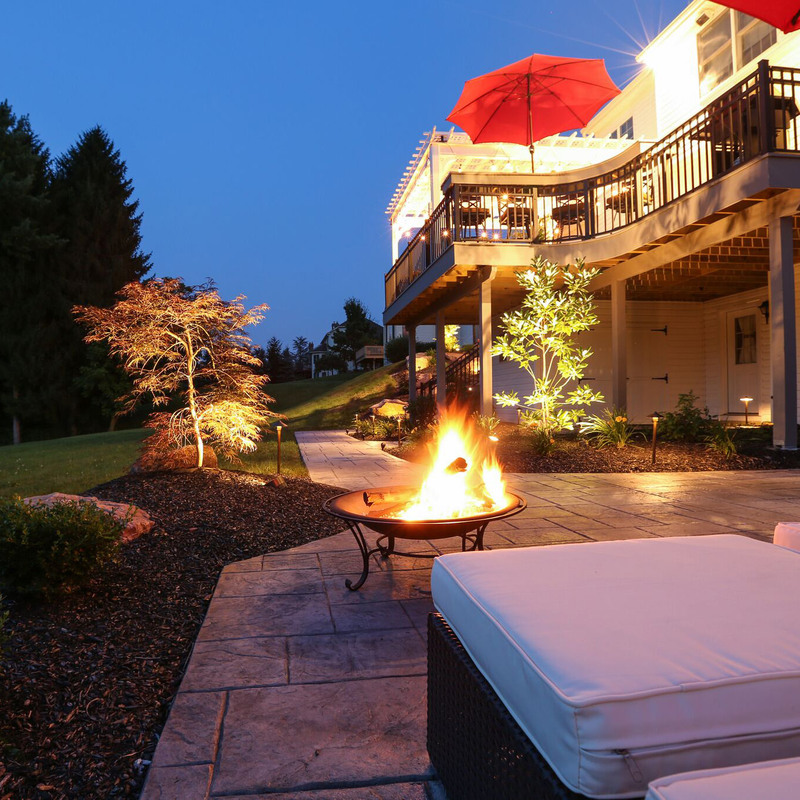 While self-transforming your backyard piece by piece is possible, working with a professional will take the pressure off your own shoulders and guarantee everything will be handled promptly, accurately, professionally and with great care. The result will be a gorgeous backyard you are sure to brag about! 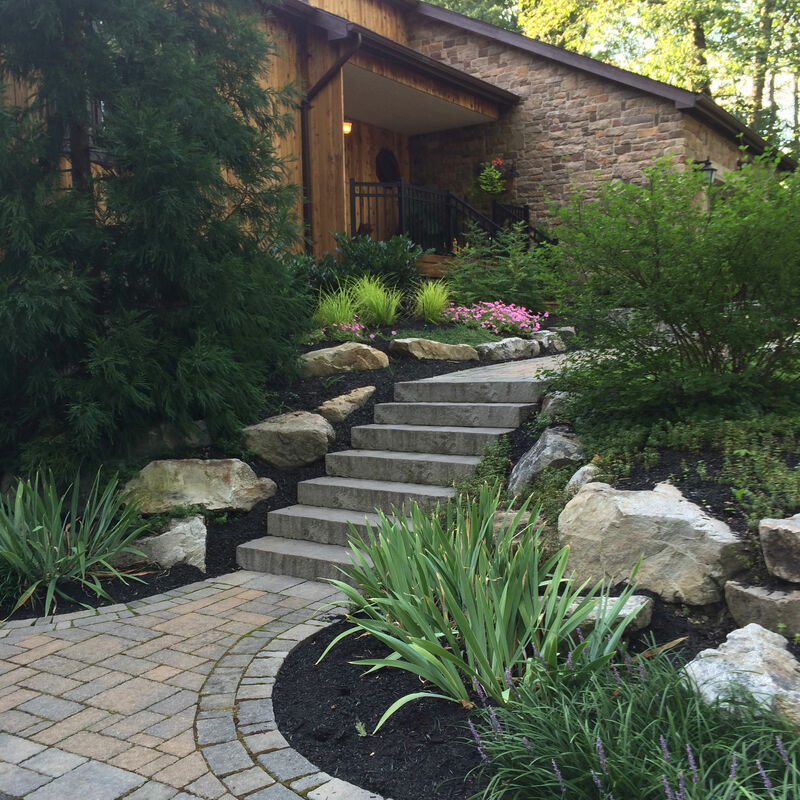 Serving the Poconos, Lehigh Valley, through the Main Line of Philadelphia and western New Jersey, MasterPLAN Landscape Design is excited to chat with you about your very own backyard transformation! From dreams to reality and concept to completion, we are excited to help you discover the full potential for your property, custom-fit for you and your family! When you are ready to reach out, we are ready to listen. We would love to welcome you into the MasterPLAN family!